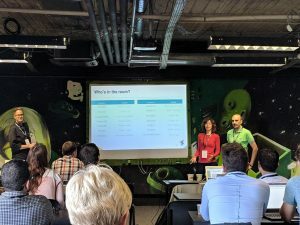 Do Lisbon Analytics startups land on their feet? 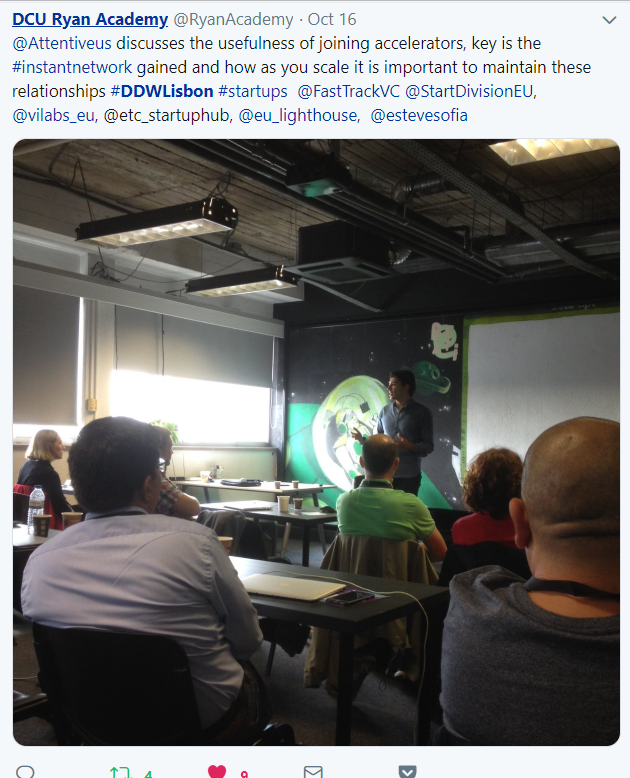 The last DDW of the year took us to Lisbon – the most talked ecosystem these days. Did it live up to the expectations? 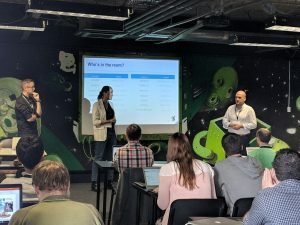 Our startups, with artificial intelligence applications from crypto to manufacturing, immersed themselves in the city – meeting top accelerators, startups, investors and a corporate day facilitated by Accenture AI. See what they thought of it! 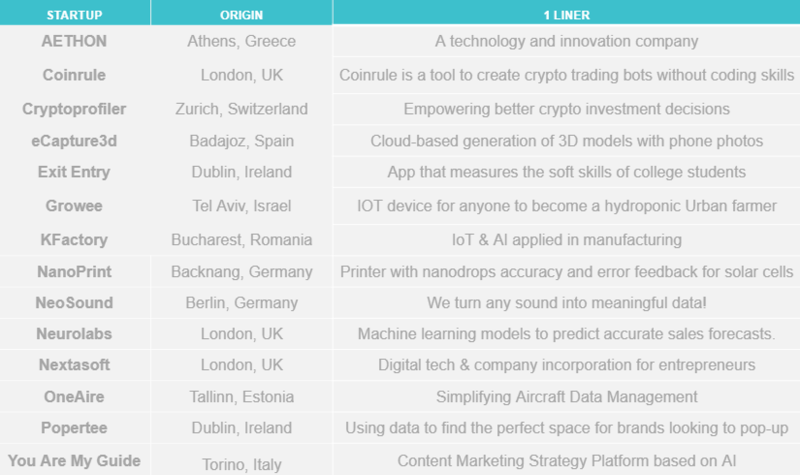 This wide mix of startups from all over Europe shared in common a determination to use modern technology to leverage data to design better products and services. And, of course, an interest in discovering what Lisbon has to offer! 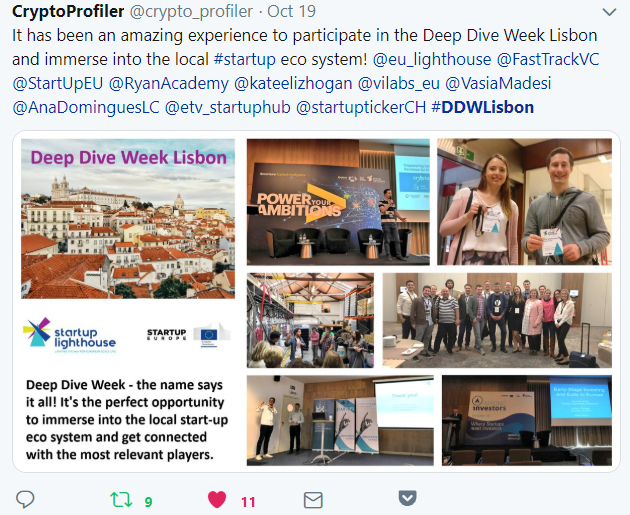 Day 1 – Welcome to Lisbon! 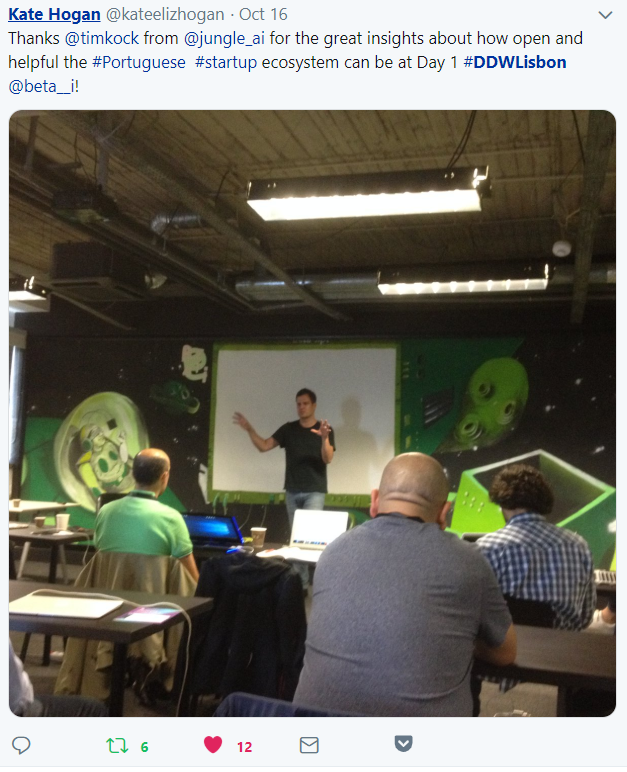 The first day was spent at Beta-i, one of the key coworking spaces in the center of Lisbon. After an introduction by Tim Brown, the organiser of the week, the startups went on for their first pitch – a warm-up to get acquainted. 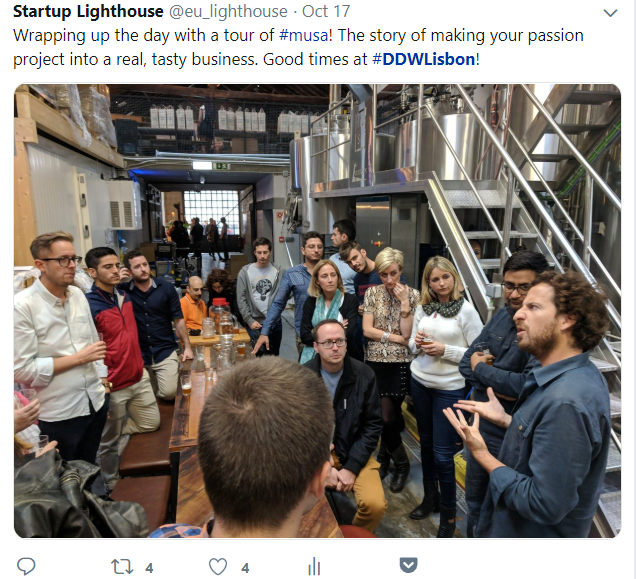 Startups at every DDW report that networking within the group – that is, getting to know each other – can be as valuable as any other potential partner we’ll introduce them to. 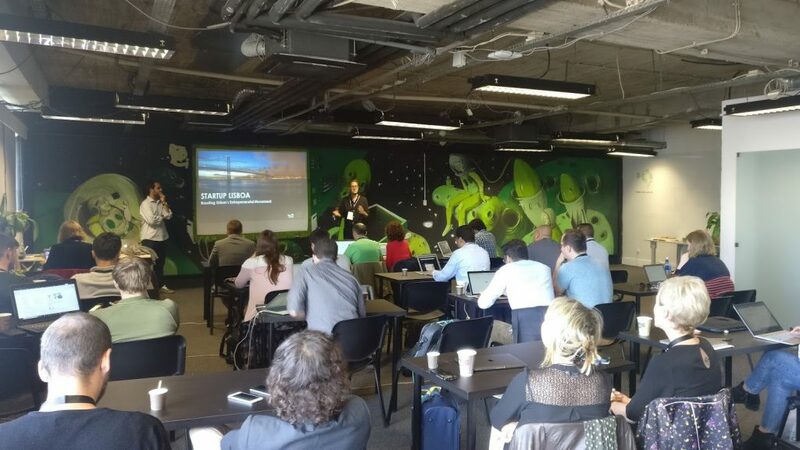 We wrapped up the morning with a showcase from Startup Lisboa – Lisbon’s incubator and the main initiative to turn the city into the place to be for entrepreneurs – and super happy to let us know what’s so great about Lisbon for startups like ours. 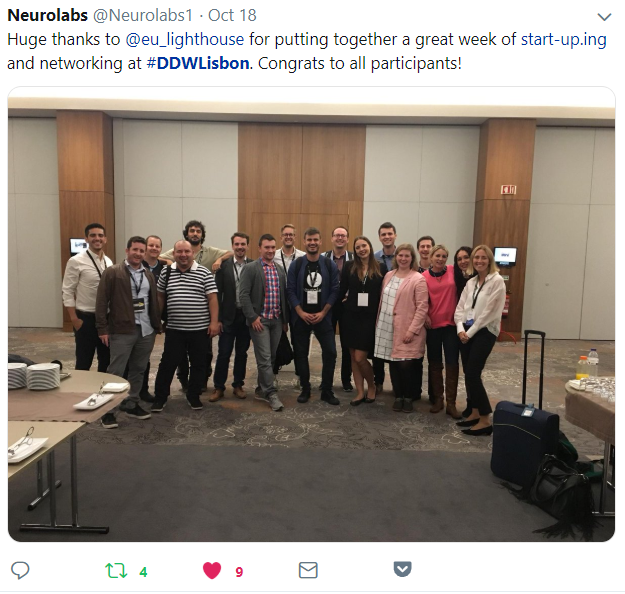 Lisbon citizens actively chose to have an incubator set up downtown – an incubator where 50% of the current companies are foreign! 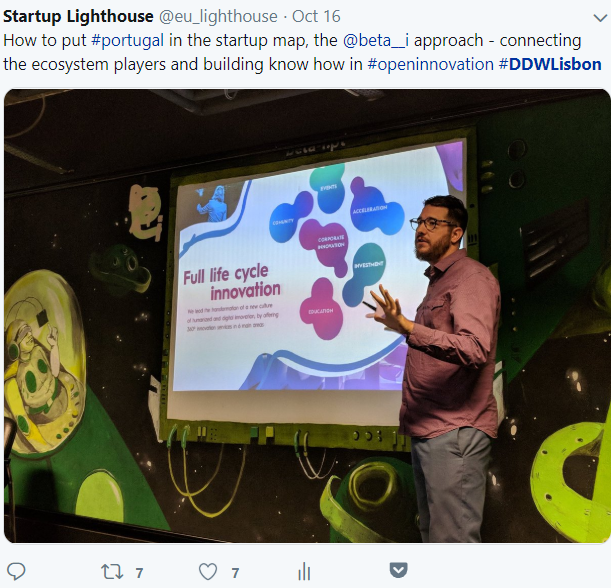 After a quick lunch in the sunny terrace of the coworking space, our host, Beta-i, came to showcase the work they have done themselves in promoting open innovation in Lisbon – connecting startups and corporates, events, acceleration programmes and, most importantly, a community. But what’s the best way to learn about an ecosystem other than by startups themselves? We had two startups join us for a sharing session to wrap up the day: Jungle AI and Attentive. While Jungle started in the Netherlands and Attentive in Portugal, both are global companies that have a good base in Portugal. 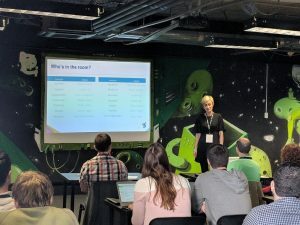 Tim Kock from Jungle AI expanded on how much data science untapped talent exists – and that a global company can offer Portuguese graduates a much better salary and a much more exciting job offer than local companies. 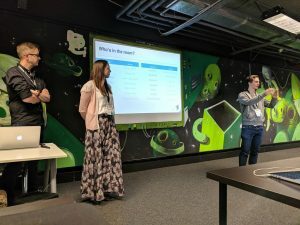 Daniel from Attentive told us his journey from different accelerators across the world to maintain the network needed to validate his business and maintain a good relationship with clients, partners and investors. How to survive bureaucracy in Portugal: get a good lawyer available on WhatsApp with a flat rate. 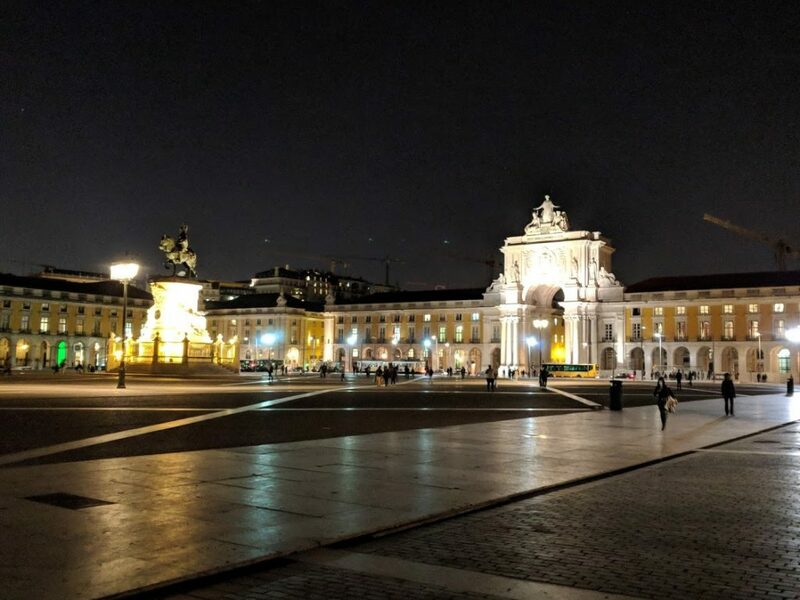 And with that final piece of advice, we wrap up the first day with a dinner in one of the iconic squares of Lisbon! The day was spent at LISPOLIS – home to more than 100 companies dedicated to R&D. 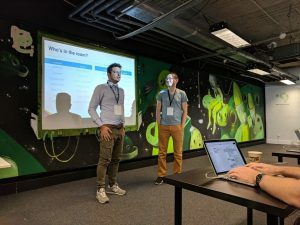 The first part of the day was delivered by SRS Advogados – a legal firm that is taking steps to stay relevant for a changing business context – creating a startups team, advising companies, business angels, VCs – including their own accelerator – Startup Lab. 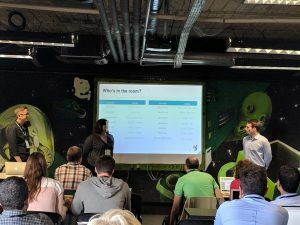 SRS delivered a workshop on how to set up a company in Portugal and what to take into account when fundraising – covering every legal aspect from term sheets to NDAs. 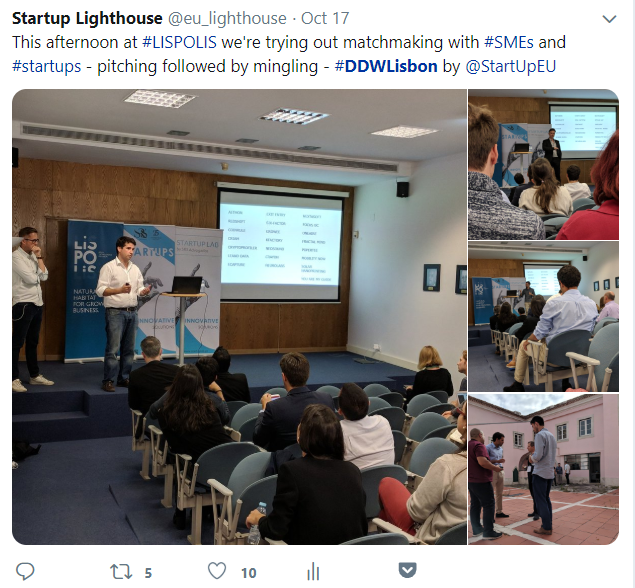 For the afternoon, the DDW startups and selected SMEs from LISPOLIS were pitching to each other to find synergies and ways of collaborating. After the pitching, informal networking supported by some light finger food was offered. Startups and SMEs were quick to engage with the ones that sparked their interest and business cards were exchanged. Participating SMEs were: RedShift Solutions, Criam, Leand Data, Six-Factor, Crayon, Fractal Mind & Mobility Now. 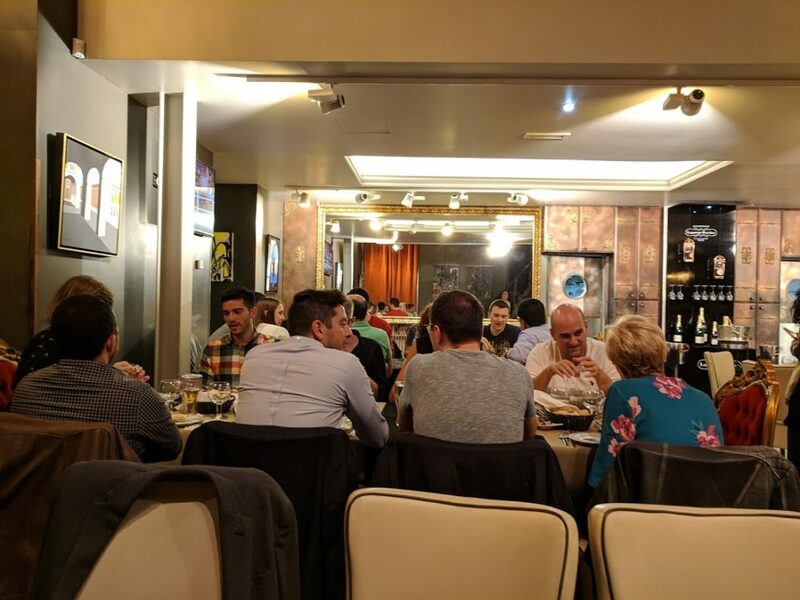 Finally, we wrapped the day in a very special venue… MUSA – Portuguese Independent Beer – where the founder gave us not only a tour but shared his journey from consultant to entrepreneur and the missteps along the way. In partnership with Accenture AI, we kicked off the day by bringing dozens of corporates to meet our startups and discuss how to collaborate in a changing world. 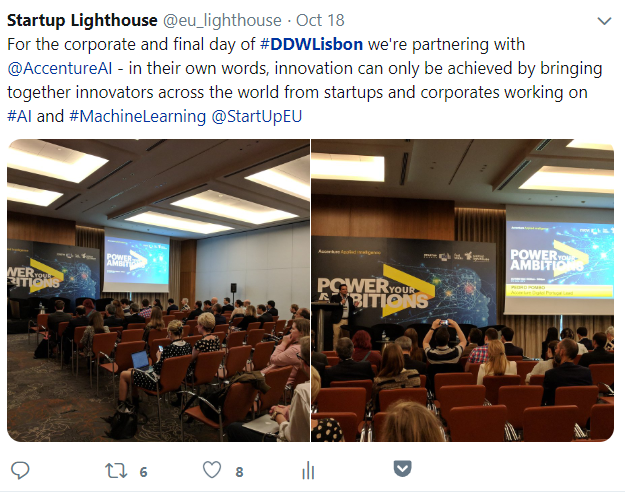 Not only did our startups get to do their final and best pitch ever – we also had big names from Portuguese corporations on stage (Bright Pixel, EDP, Altice, Sonae IM, Fidelidade) to discuss what they have done in terms of startup-corporate collaboration and how do they see the future in these relationships. In the second half of the day we opened up the Among Investors section – where over a dozen investors joined us to hear from Basil Peters advocating for early exits and an overall look into the current investment panorama. Basil had flown over from Vancouver just to join us, and it was clear from the engagement and questions from the audience that the trip was worthwhile. 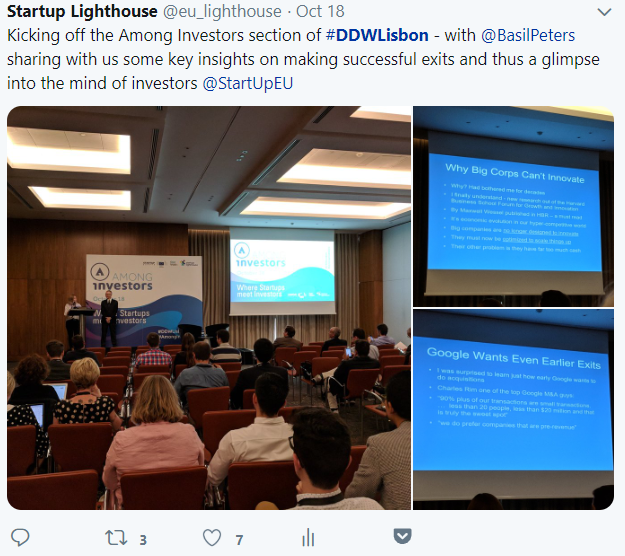 Basil spoke at length on why investors should be looking at early stage investments, and then how to make the most out of an exit by moving early. After the break, we then got to hear from three very different Lisbon based startups, all of whom are currently fundraising. BetProtocol offers white label blockchain betting and events development; PASS uses a sophisticated algorithm for hedge fund investments; and EatTasty delivers homecooked lunches to workplaces, as an economical and tasty alternative to UberEats, Glovo, Deliveroo etc. There was of course still time after the pitches for drinks, a bit of food, and plenty of last conversations and business card swapping, before we made our various ways back to every corner of Europe. We’ll be announcing 2019’s verticals and locations at the end of this year – and applications will open in January – so subscribe to our newsletter and follow us on social media to be the first to know!